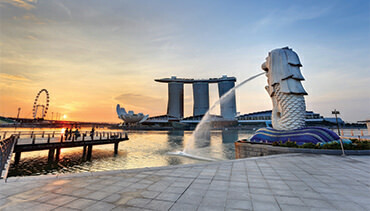 The ideal gateway to Southeast Asia, Singapore is delicious, diverse and unforgettable. With a rich history dating back to the 1800s, Singapore is a thriving, ethnically diverse island, forward-thinking yet deeply passionate about its history. 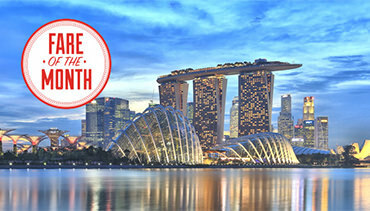 Not only is Singapore one of the safest countries in the world, English is the official working language, both of which make it a comfortable and secure place to visit. With harmonious cultural contrasts, a vibrant culinary scene, awe-inspiring architecture and a garden-filled landscape, Singapore offers impressive value. A spectacular indoor/outdoor garden with two conservatory domes (the Flower Dome and the Cloud Forest), the world’s highest indoor waterfall and the Supertree Grove. An icon in the city’s skyline, this luxury hotel has a world-class spa, shopping, casino, restaurants, bars, the soaring SkyPark and the world’s highest infinity pool. Not a hotel guest? No problem. Have a drink on the rooftop at Ce La Vie and enjoy the stunning view. 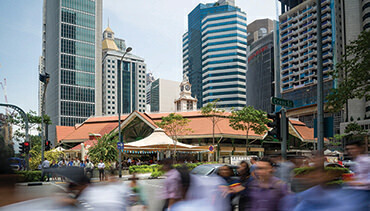 Singapore’s authentic food scene is a gastronomic dream. Discover the exotic flavours at the city’s traditional food stalls. One of the hippest and oldest neighbourhoods in Singapore with boutique shopping, quirky lifestyle shops, specialty coffee bars and modern bistros. A Magical Family Holiday in Singapore!